Now that we have given you quite a few tips on how to enjoy Berlin for free – Part I, we are delighted to share our second article on how to enjoy Berlin on a shoestring budget. Let’s start this article with tips for animal lovers! If hanging out with animals is your thing, you will be delighted to explore the urban farms spread all over Berlin. They can also be a Zoo alternative for the kids. 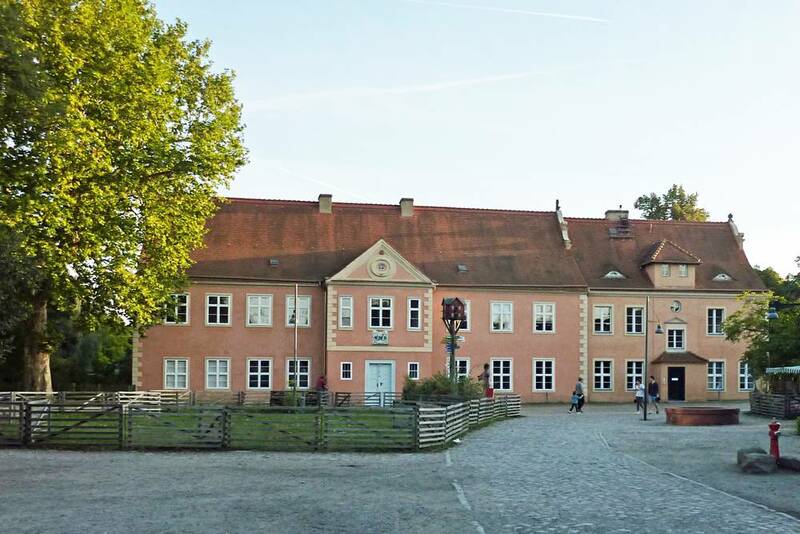 Our favorite is open daily and it is called Domäne Dahlem. It houses an agricultural open-air museum, where you can get in touch with a rural way of life and forget that you are in the middle of the city! At the Hasenheide Park, there is an enclosed area for goats, sheep and turkeys, with some exotic animals, like llamas and camels. In the south of Berlin, the Gemeindepark Lankwitz has also an enclosed area with deer! And slightly out of town, the Tierhof Alt-Marzahn takes you back to the rural life of the early 20th century, with its lovely windmill and village vibes! Bookworms can also find some free of charge pleasure in Berlin. Besides the countless public libraries, you can pick a title in a “book tree” in Prenzlauerberg, on the corner of Kollwitztrasse and Sredzkistrasse, a cool initiative of the Bookcrossing network. In Charlottenburg, there is an old phone booth (on Seelingstrasse) that is packed with books! We have also spotted other book-filled phone booths around town, but suspect they move around the city….so keep your eyes open! 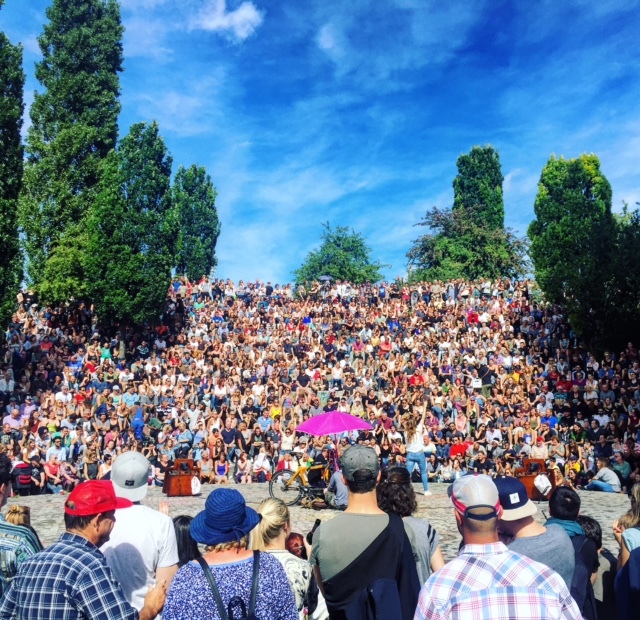 On Sundays, you can watch – and sing along – with the contestants at the Bearpit Karaoke at Mauerpark. Just prepare your ears for some tackiness and the occasional delight! This is truly a Berliner institution! Jazz fans will find joy in Charlottenburg. The two main jazz clubs here have “Entritt frei” events. A-Trane presents free concerts on Monday nights and B-flat offers free entry to jam sessions on Wednesdays. 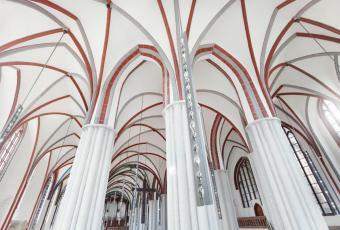 The Berliner Philharmonie has free lunchtime chamber music concerts every Tuesday at 13h. Note that the Lunchkonzerte happen in the foyer and not in the spectacular concert halls. More classical music can be enjoyed at the Hochschule für Musik Hanns Eisler, at Gendarmenmarkt, where students present free recitals several times a week. The Universität der Künste’s College of Music offers musical performances in various venues around their campus in Charlottenburg. And if you like to enjoy melodic and harmonic sounds mixed with other urban tones, U-Bahn stations like Schlesisches Tor, Friedrichstrasse and Schönhauser Allee are the perfect stage for different and talented street musicians! The classic centenary ballroom in Mitte offers free beginner swing lessons every Wednesday evening. And, excepted on Fridays and Saturdays, the balls are also entrance free! Photo from Cläarchen’s Balhaus’ website. Artvores will definitely not be disappointed with all the variety of art shows happening all the time in Berlin: The city is said to have more museums than rainy days! Even though most of them charge you a fee to visit their collections, the opening nights of their temporary exhibitions are normally an entrance-free program! 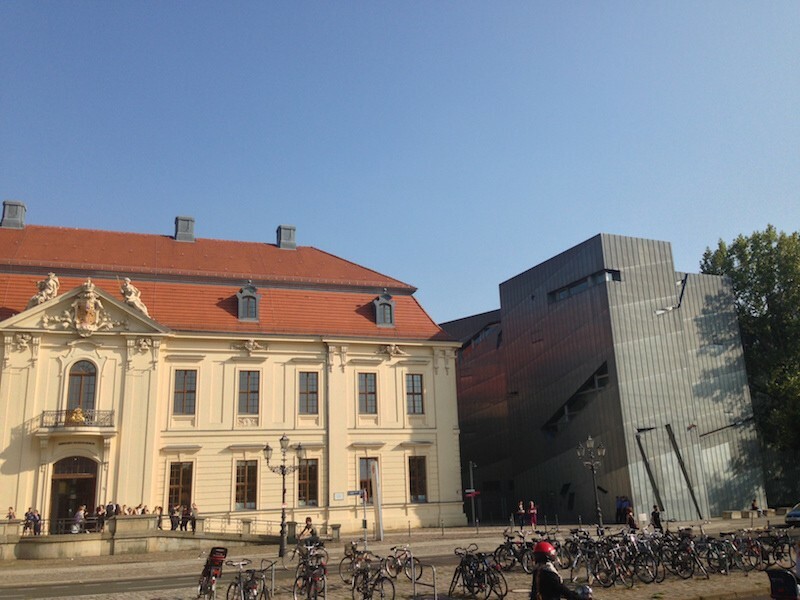 Important museums and cultural centers like C/O Berlin, The Photography Museum/Helmut Newton collection, the Jewish Museum, the Berlinische Galerie, the Hamburger Banhof Museum, KW Institut for Contemporary Art and many, many others promote vernissages that are free of charge. Just keep checking their websites! Besides the museums and cultural centers, Berlin has countless contemporary art galleries that will not cost you a thing to visit. Some of our favorites are: St. Agnes (König Galerie), whose venue itself, a brutalist construction that used to be a church, already worth the visit, Blain | Southern and Esther Schipper, on Potsdamer Strasse, Sprüth Magers, Carlier | Gebauer and Open Walls in Mitte and the photogallery Camera Work in Charlottenburg. Showcasing contemporary art with a political approach, the Kunstraum Bethanien and its sibling nGbK on Oranienstrasse present temporary exhibitions with free entrance all year round. 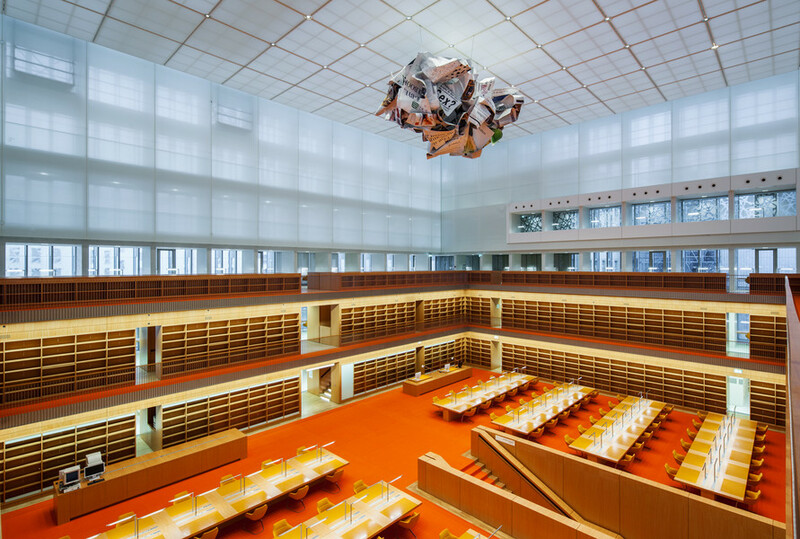 Other art venues that are free of charge are the Daimler Collection in the Haus Huth in the Potsdamer Platz area, the Museum der Stille in Mitte, the Museum of Oddities in Schöneberg, the Mies van der Rohe Haus/Haus Lemke, in Hohenschönhauser and the Open Air Glass Lantern Museum, a collection of some 90 historical gas lanterns from Germany and other european cities in Tiergarten. The museums under the administration of Berlin, the Stadtmuseum Berlin (Märkisches Museum, Museum Ephraim-Palais, Museum Nikolaikirche, Knoblauchhaus and Düppel Historic Village) have the first Wednesday of the month with free entrance. Photo from St. Nicholas’ Church Museum. You can check the full list of free entrance museums in Berlin here. And if you are more than simply an art admirer and want to create your own artwork, the Kunst Stoffe organization, offers saved raw materials like wood, metal, paints and fabrics that can be picked up at their depots in Pankow and Neukölln. The cult movie theater Babylon Kino, at Rosa-Luxemburg Platz, screens silent movie classics, accompanied by a live organ recital on Saturdays nights. And, according to the motto “zero o’clock – zero Euro”, the admission is free. The housing project Köpi promotes movie nights on their basement cinema, heated by stove in the winter and with old bumper cars as seats. You cannot go more Berlin than this! Next to Südstern, in Kreuzberg, the Sputnik Kino promotes open screening nights every 3rd Wednesday of the month. It is the opportunity for new movie makers to exhibit their works for free! Photo from Sputnik Kino’s Website. 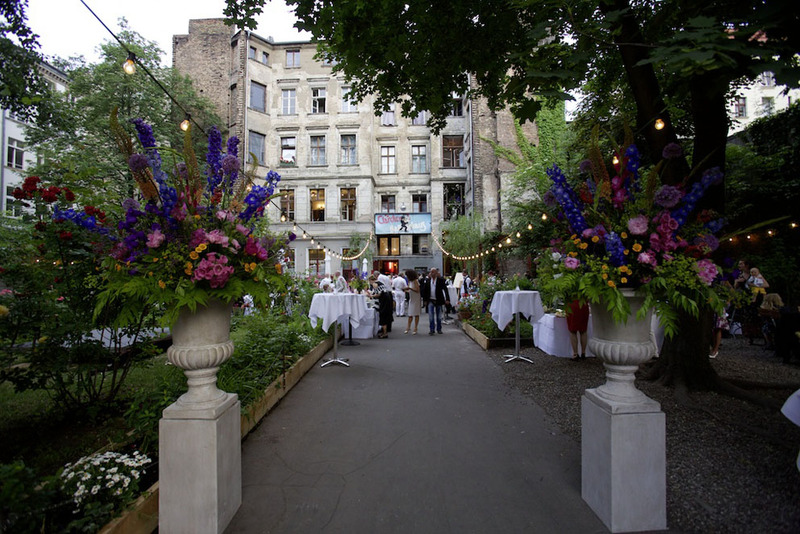 From May until end of September, the Speisekino in Moabit organizes “movie nights with meals and meals with movies” every Friday evening. The screenings are free of charge, with an optional paying menu. Even though it cannot be considered as a movie, Tatort (TV show) is a German institution since the 1970s and it is an unmissable Sunday evening program for many people! 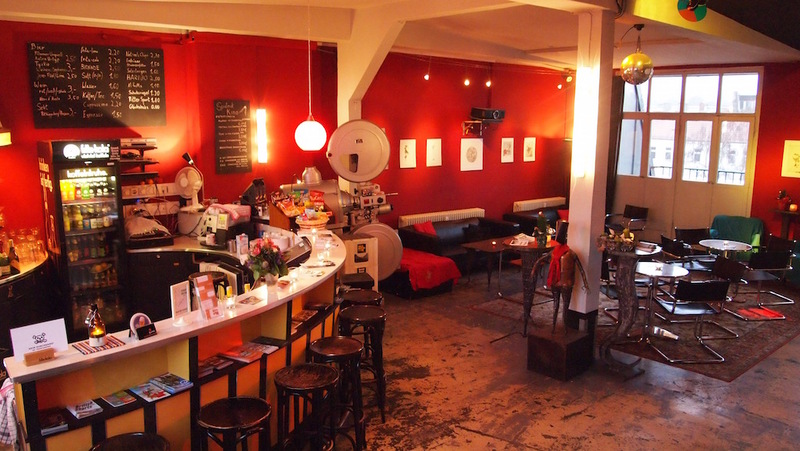 The Junction Café in Kreuzberg screens the famous TV show every Sunday at 20h15. If you are a low-budget traveller or simply interested in a bargain to take home, Berliner residents usually leave, in front of their buildings, their surplus of clothes, kitchenware, small furniture and even food inside cardboard boxes on Sundays. While you are strolling around town, look for the cardboard boxes labeled “zu verschenken”. And finally, in case you fall totally in love with Berlin (we are sure you will!) and decide to extend your stay in the city, you will need to learn the language spoken by the locals, right? 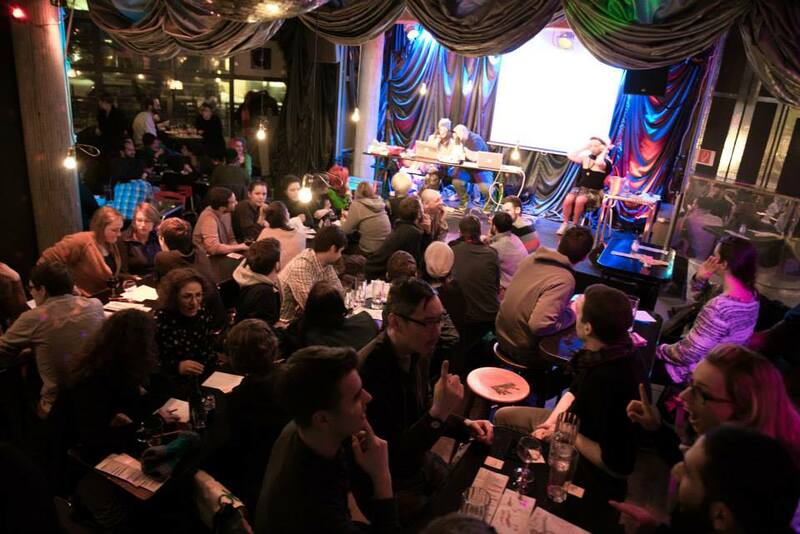 The queer Südblock bar promotes a weekly – and free – Sprachklub aquarium, where everyone interested in learning German is invited to practice the language in an open public chat! Quizz night at Südblock. Photo from Südblock’s Facebook Feed. For daily free events, check the Gratis in Berlin calendar. More free events happening along the year can be found here. You can also find your Berlin free event by U-Bahn station! The Windu short-term apartment rental service created a map, with lots of other free activities in Berlin. Phew….this Berlin for free guide should last you at least a couple of years of fun in the city without spending a dime!